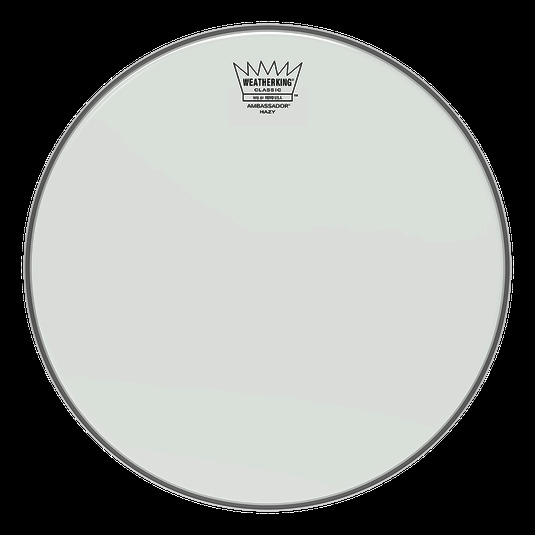 Remo WeatherKing Hazy Ambassador snare side drumhead. The Remo Hazy Ambassador drumheads are medium-weight drum heads made with a single-ply 3-mil Mylar film to produce an open, bright, and resonant sound with plenty of attack. Remo Hazy Ambassador drumheads accentuate snare drum response and give a classic look to snare drums. Remo Ambassador Snare Side Drumheads are known as the standard of the industry.